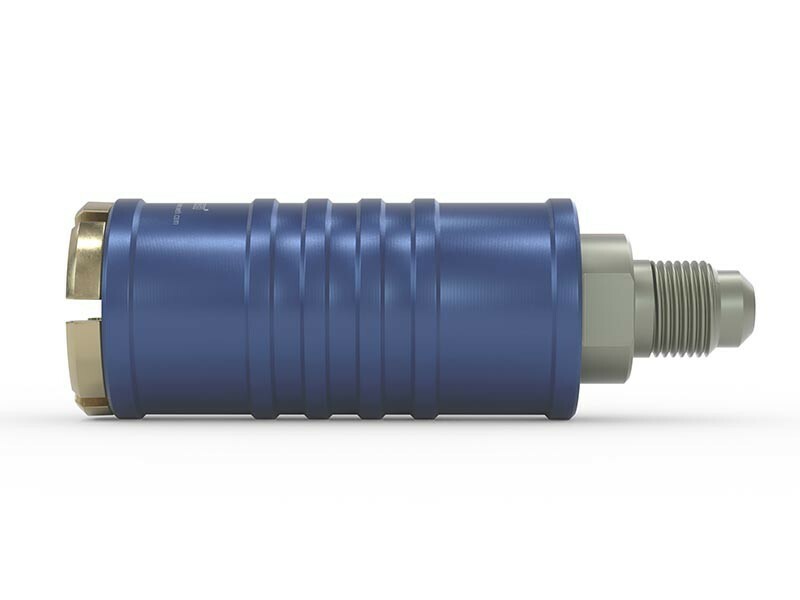 The quick release couplers with their distinctive blue and red colour coding for the low and high pressure side of AC systems are the ideal tool for filling / charging of refrigerants (R134a). 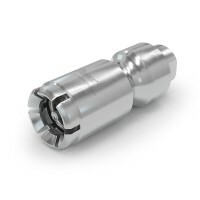 They connect instantly to the Schrader SAE 1/4" service port and are available as straight or 90° elbow couplings. When disconnecting hazardous discharge of refrigerant is reduced by 99 %. No twist, no turn, no hand-tightening. Just push to connect. 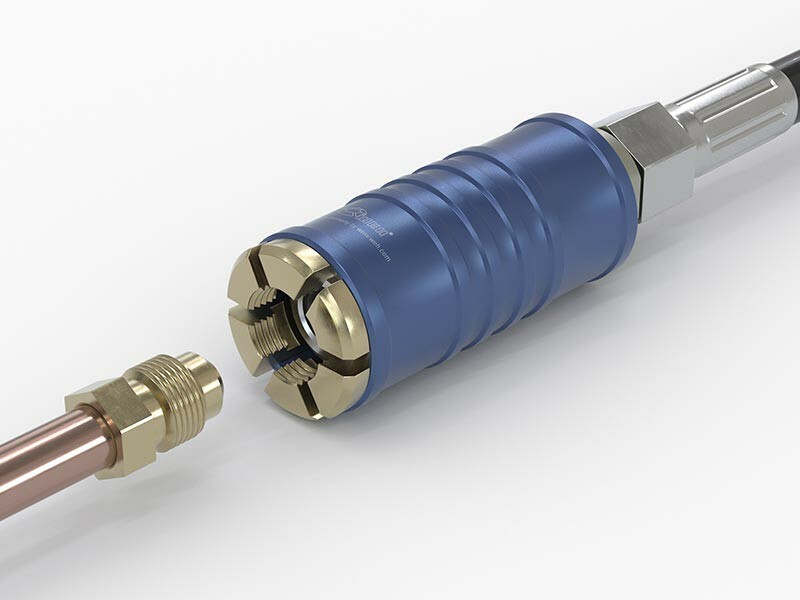 The WEH® TW111 filling connector connects in seconds to the Schrader valve thus facilitating filling of refrigeration equipment with refrigerants and increasing your productivity. The use is quite simple. 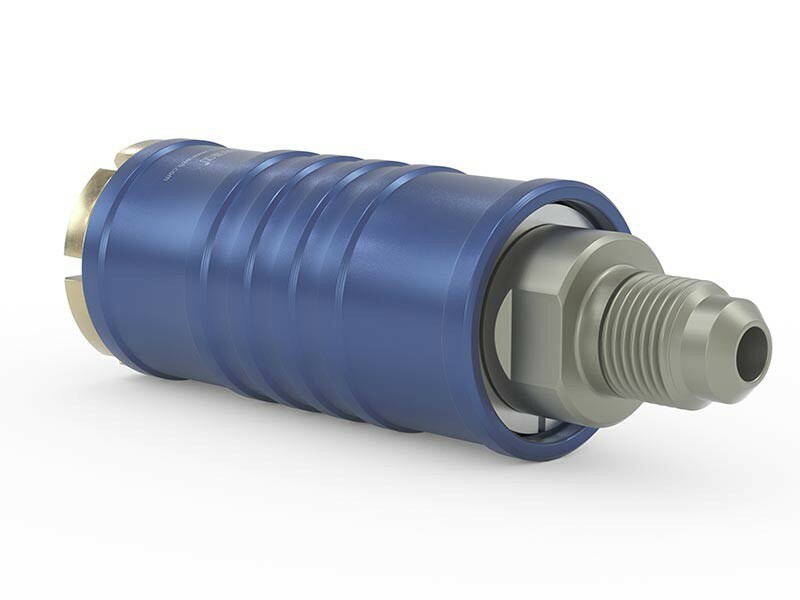 Only pull back the sliding sleeve of the quick coupling and place the connector onto the Schrader valve thread. When pushing the sliding sleeve forward, the clamping jaws are locked and the internal stop valve opens. Refrigerant filling can now begin. 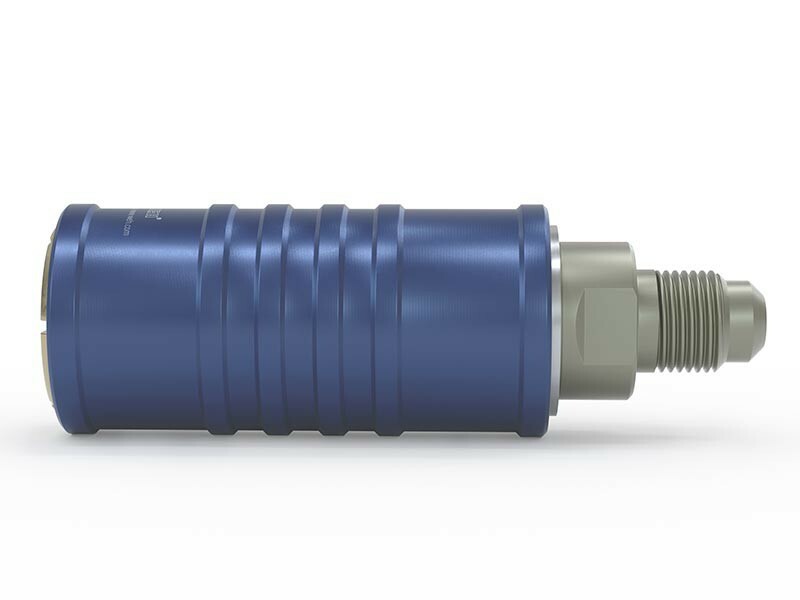 Thanks to the easy push & pull actuation, the TW111 connects to Schrader port UNF 7/16“ –20 external thread (equivalent to 1/4" – SAE tube connection) in just seconds. 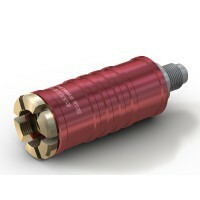 The safe and pressure-tight connection is established without continuous screwing and unscrewing of threaded ports. Thus the operator's joints are protected from injuries arising from repetitive motion. Work flows are considerably facilitated and a high operating comfort is achieved. The small outer diameter of only 25 mm simplifies the connection procedure to test pieces in restricted areas. Thus not only connection times are reduced, but also costs are cut and the productivity is increased. The service connector is rated for an operating pressure of max. 42 bar and has a inline media inlet, a chloroprene front seal and a colour coded blue sliding sleeve for the low pressure connection port of the customer. 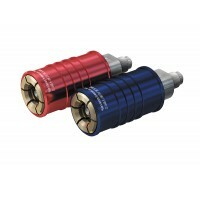 The Connector is also available with 90° media inlet and red sliding sleeve for the low pressure connection port. 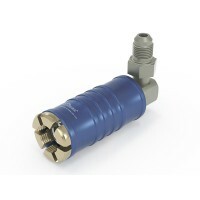 Quick Connector for filling and evacuating refrigerants of industrial refrigerating and air conditioning systems with Schrader valves 1/4" SAE tube connection acc. to SAE J513. 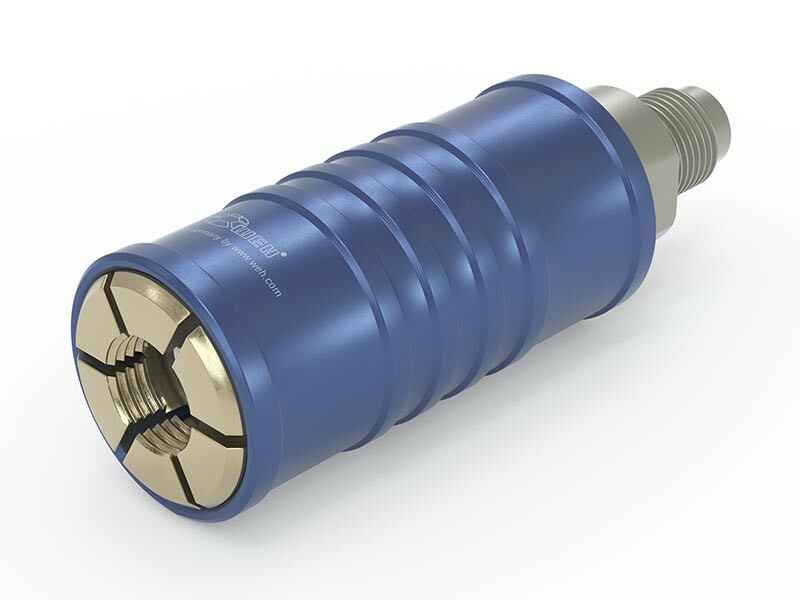 The service quick coupler TW111 with straight meida inletis the ideal service port access fitting for charging and recharging refrigerants and air conditioning plants with Schrader valves. 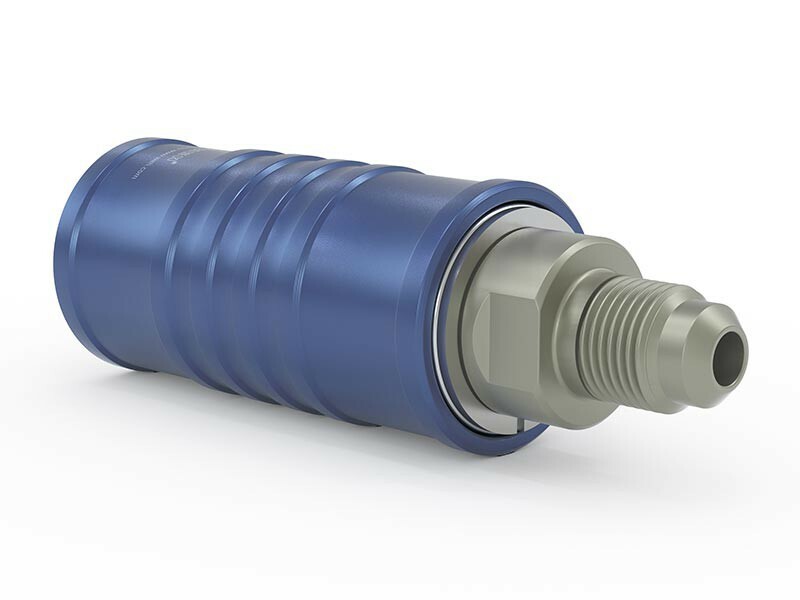 The service coupler connects instantly to your external threaded service port of RAC systems / ACR systems. 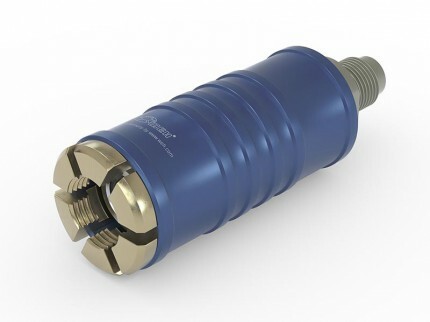 The TW111 offers quick connect and quick disconnect thanks to the WEH® Jaw Locking Mechanism and the easy to operate sliding sleeve. 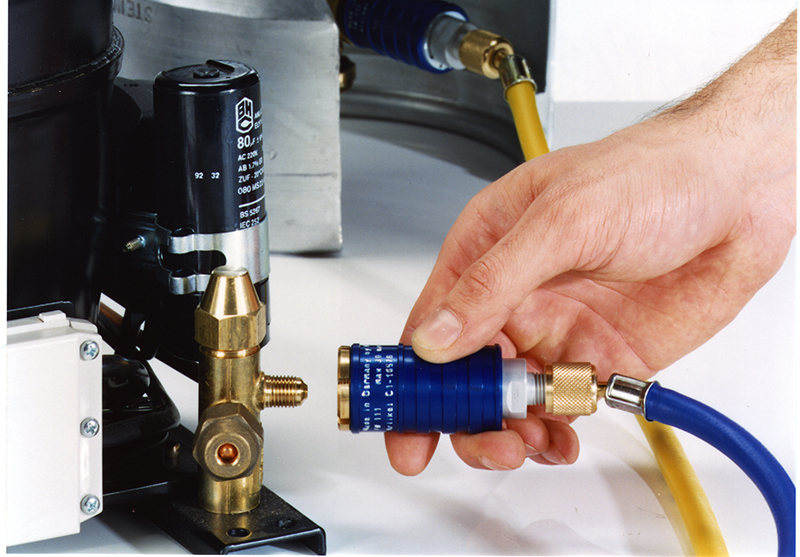 The service quick coupler also eliminates hazardous discharge of refrigerant from low-side of system when disconnecting. Applications are recharging of home air conditioners and refrigerators.